Flavan-3-ols (catechins) and cardiovascular disease - Seven Countries Study | The first study to relate diet with cardiovascular disease. An average intake of monomeric flavan-3-ols of 124 mg/d, compared to an average intake of 25 mg/d, was associated with a 51% lower 10-year CHD mortality in the Zutphen Elderly Study. 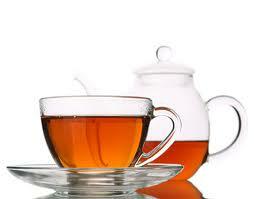 Tea is a rich source of both flavan-3-ols and flavonols. Therefore we analyzed also the intake of tea, flavan-3-ols not from tea and flavonols not from tea in relation to fatal CHD. Tea and flavan-3-ols not from tea were inversely related to fatal CHD but flavonols from other sources than tea were not associated. These results suggest that a high intake of flavan-3-ols is related to a low risk of fatal CHD independent of flavonols. In contrast, flavan-3-ols intake was not associated with 10-year stroke incidence. Flavan-3-ols are a subclass of flavonoids, an extended class of chemically related compounds ubiquitously present in plant foods. Evidence from controlled experiments in people shows that one of the flavan-3-ols, epicatechin, has favorable effects on endothelial function, blood pressure and insulin resistance. The richest sources of flavan-3-ols are tea, apples and chocolate (cocoa). Explore the graphs with trends in CVD risk factors across time and cultures.